When we in the events industry think about crowds, many people think about music, sporting and mass gatherings like the New Year’s Eve celebrations. One area of the industry that I have had the pleasure of teaching crowd science and risk analysis to this year has been the famous heritage sites industry around the United Kingdom, organisations such as the National Trust, English Heritage and private estates, so with that in mind I would like to dedicate this article to all those places and the people who work at them who ensure the safety of thousands of visitors each day. 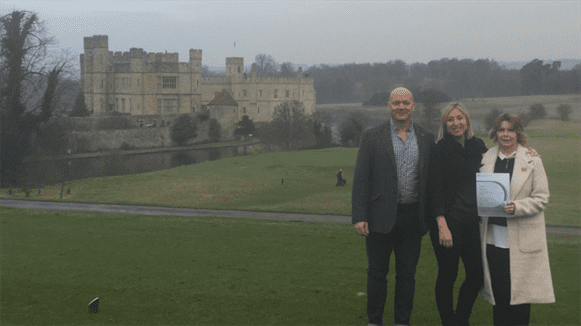 I recently taught some of the senior events team from Leeds Castle in Kent who really opened my eyes to the different types of events that they deal with every year. The event I would like to talk about is fireworks night. So, what are the issues that are likely to arise from this type of event? Darkness, it’s that time of year November, its dark by 1700 hrs, its cold and thousands of people, mainly families are all expecting a fantastic event to take the children too, park the car have something to eat and maybe a couple of drinks to keep calm with the kids. Let’s just go back to the start, (arrival,) what do they need to get right? you guessed it a good car park plan with trained stewards who get the cars in, all in the right place filling every space available, “now that’s the easy bit”. Ok everybody is in, it’s now time to have some fun, food funfairs and fireworks, sounds easy, right? (Circulation). Well some may think so, I however have attended many of these types of events and I can say from the heart that it’s not the case, kids getting lost Granny slipping on the grass and a bloody big bonfire and fireworks, who the marshals must ensure nobody gets too close to. But somehow, they do it. And not only that they do it with very small numbers of stewards compared to the music and sports industry and in many cases volunteers doing the bulk of the work, and why not? these folks want to be there, it’s a hobby for some and what better people to have looking after an event, they understand the site its problem areas and they do it lots of times each year supported by a strong management team and a contracted events/security company. Ok now comes the good bit, (egress). Everyone wants to get out before the others, kids are playing up Mum and dad have had enough, so its head to the car time. Our friends at Leeds Castle have commented to me that they use some of the models and skills that were introduced to them on our level 5 Crowd Science and Risk Analysis course in the planning and delivery of most of the events that they plan for. We always try to tailor the course to the students, and the places they work at, and it’s important to remember that these folks around the UK do this every day, so finding stuff that works for them is key. Our course takes 3 days Classroom knowledge followed by two Assignments, first one a 1500-word essay on crowd science and how it can be incorporated into your event followed by a report on an event of the student’s choice, where we expect the student to plan for emergencies and normal operations using some of the tools that have been taught to them. We believe in teaching from the heart, pulling in real life experience, (actually) doing the job in the role of a Crowd Manager at some of the biggest and most challenging events around the world, listening to our clients’ needs wants and expectations, backed up with a sound academic knowledge that has been taught from some of the leading experts in the field of crowd’s science from around the world. We look forward to hearing from individuals and organisations who might be interested in attending one of our courses or setting one up tailored made for you and your key events teams. We are also looking for World Partners to work with and create a safer events industry. Courses fill up fast, so check out our up and coming courses on our website at www.crowdsafetytraining.com. We will always try to add more courses when demand is high. If you would like more details, please contact me on rnaish@crowdsafetytraining.com for more details where I will be happy to forward details and arrange a personal meeting to discuss your interest.